Stop spending your rental profits replacing & repairing carpet and flooring! Learn the "Best Kept" insider secrets to making your carpet or flooring last years longer. Start Reaping the Rental Profits you Deserve! Train your maintenance staff how to save YOU money! Select the best money-saving materials! Pay the least and get the MOST for your flooring dollars! How to negotiate with vendors and win! Preventative maintenance tips and tricks! Reduce floor repair costs Dramatically! Prevent flooring damage from occurring! How to get your tenants to save you money! The More Rentals You Own...The More $$$ You Will Save! Put 30-years of experience to work for you! Whether you own 1 or 1000 rental properties you can easily save hundreds to thousands of dollars using the techniques revealed in this great rental property management guide. Easy step-by-step instructions will empower you and your staff to the best ways to cut costs, eliminate waste, organize your operations, and get the job done right the first time every time. This is information you can put to use immediately! You will instantly enjoy the results you get from implementing powerful strategies, tips tricks and 'insider' secrets that will save you time, money and headaches! Never again will you be overcharged and taken advantage of! Gain complete control of flooring expenses! Now you will know exactly what to expect from vendors and installers and know exactly what the final bill will be every time! Stop spending your rental profits replacing and repairing flooring, Make your floors last years longer and start reaping the profits you deserve! Dramatically Increase Your Rental Profits! 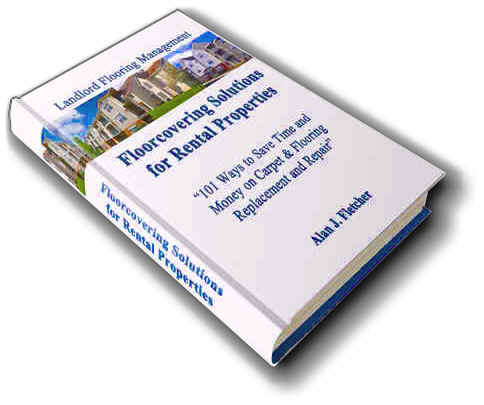 "Using the tips, tricks, techniques and strategies revealed in Landlord Flooring Management." You Can Use Paypal or Any Credit Card!